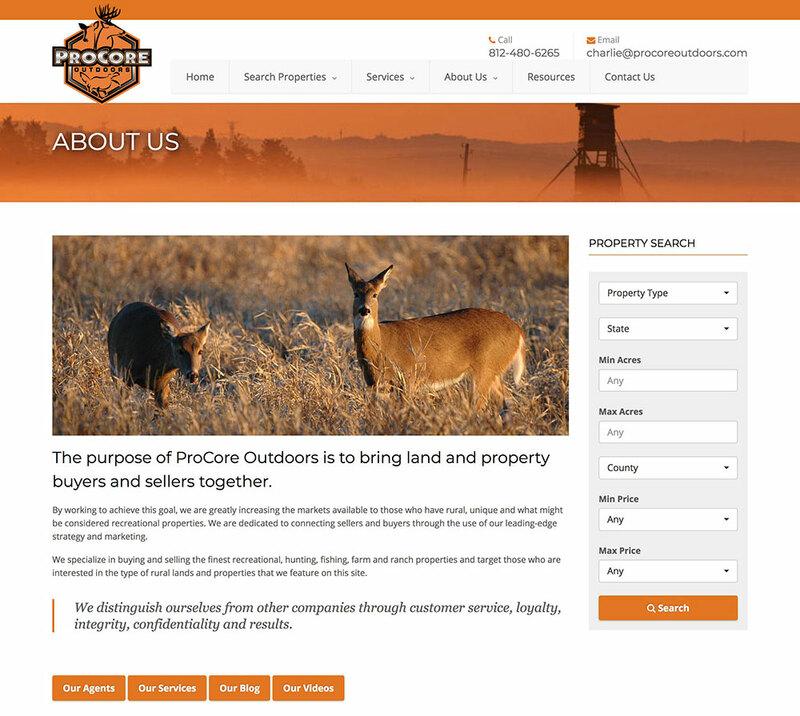 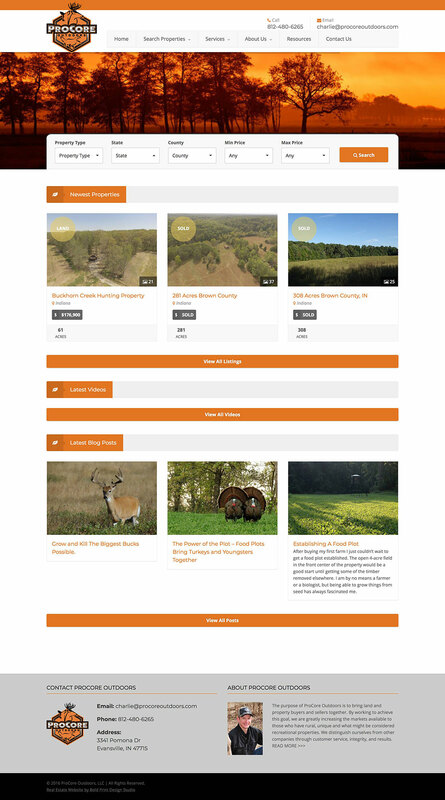 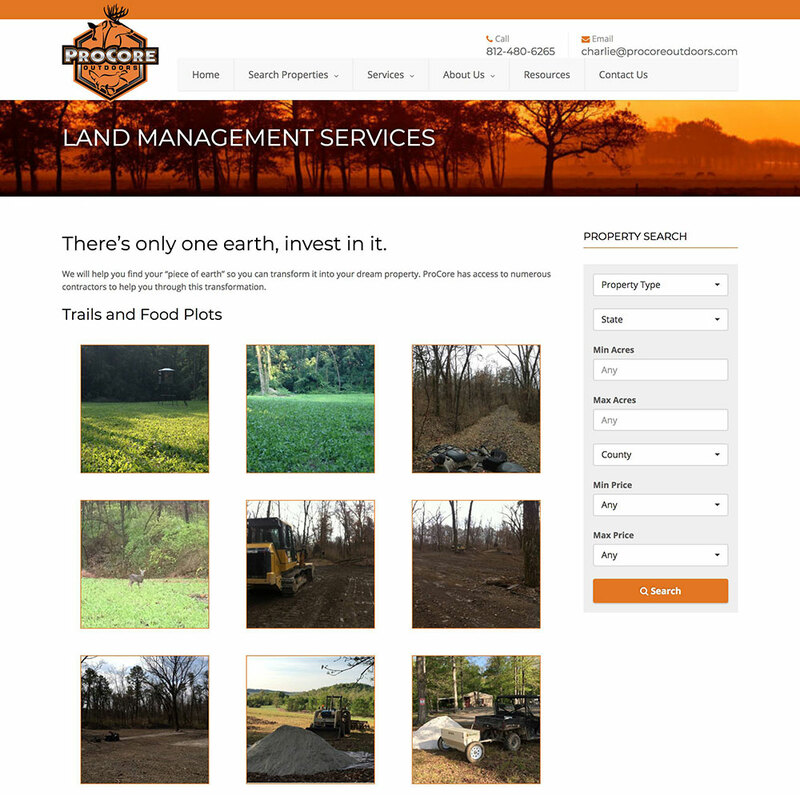 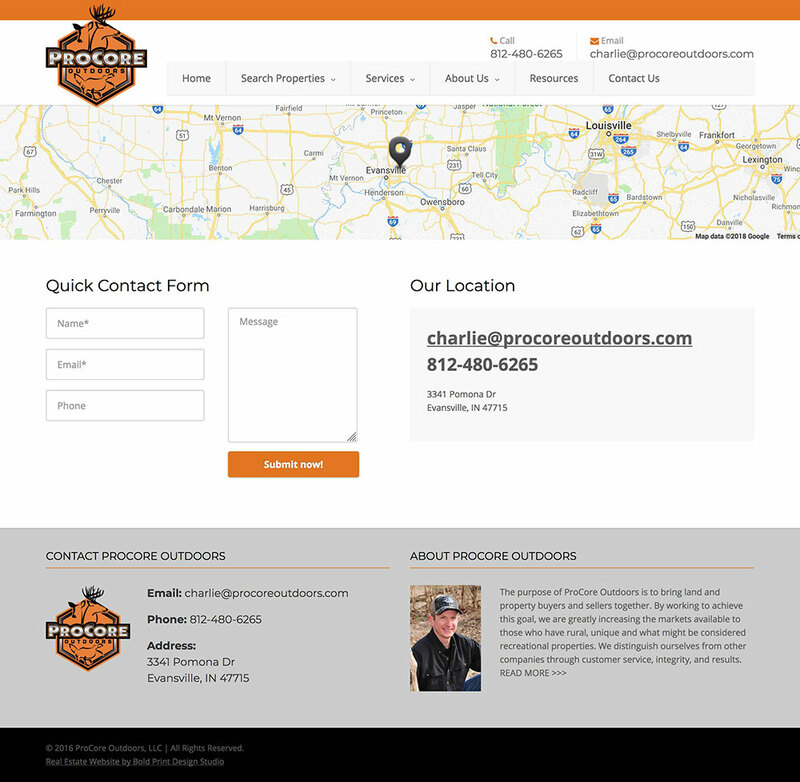 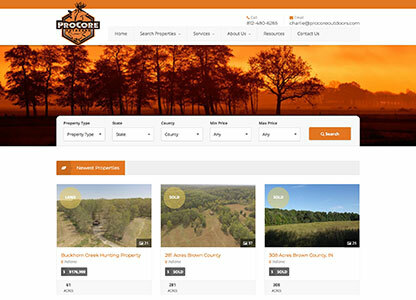 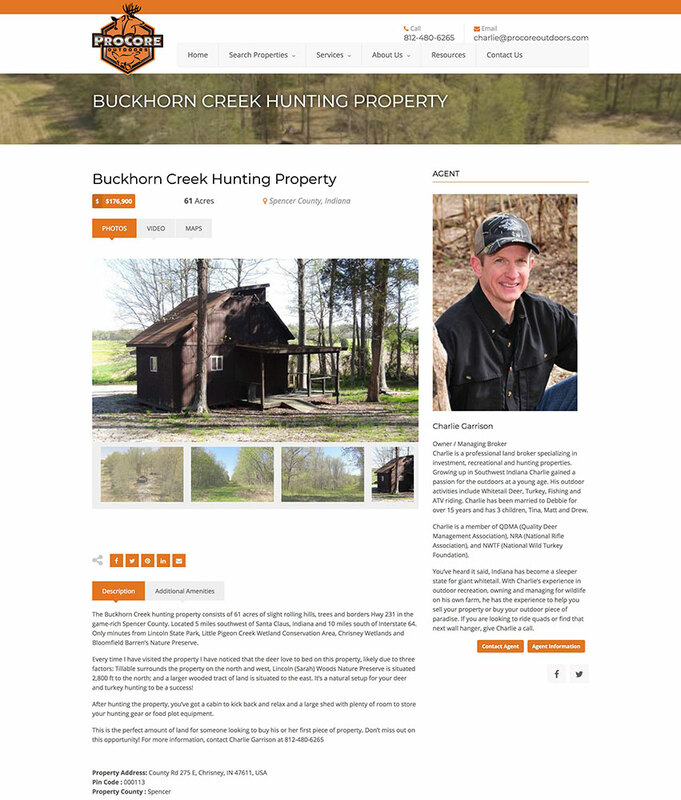 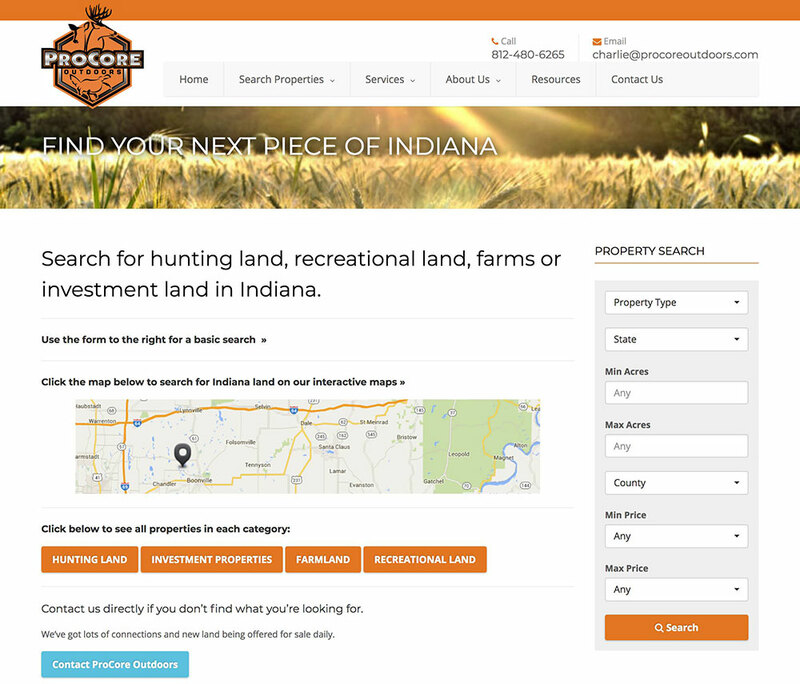 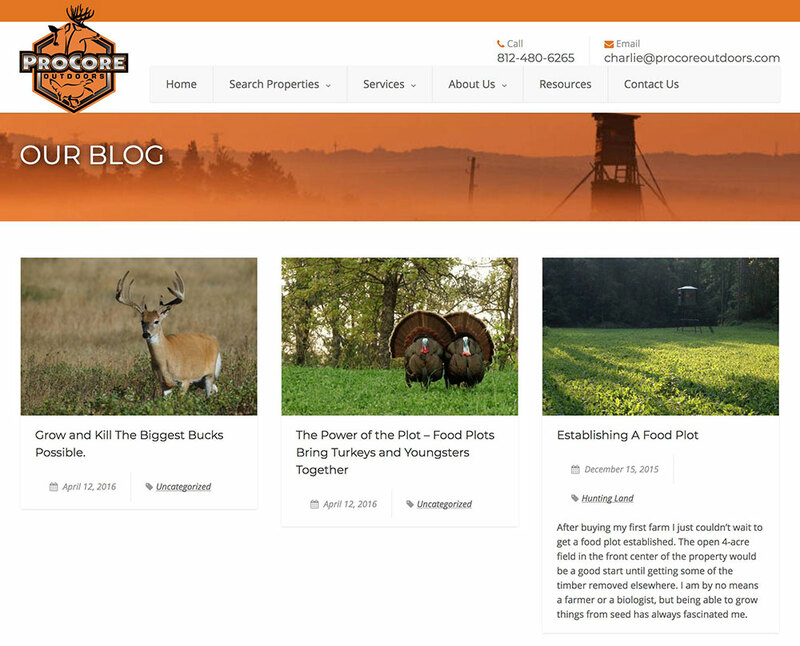 ProCore Outdoors was a new real estate company that needed a website where they can start displaying and managing their listings. 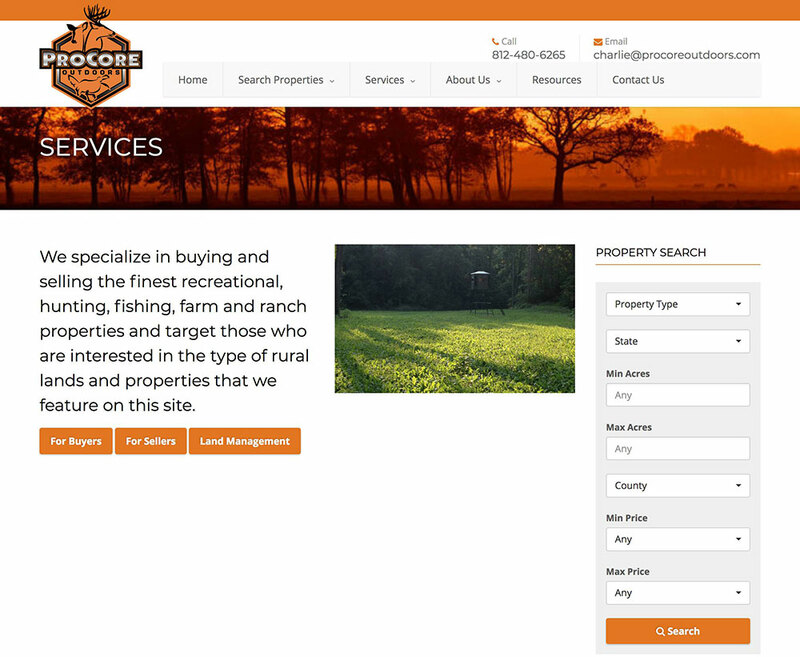 They mostly focus on rural land listings so an MLS website was not going to work. 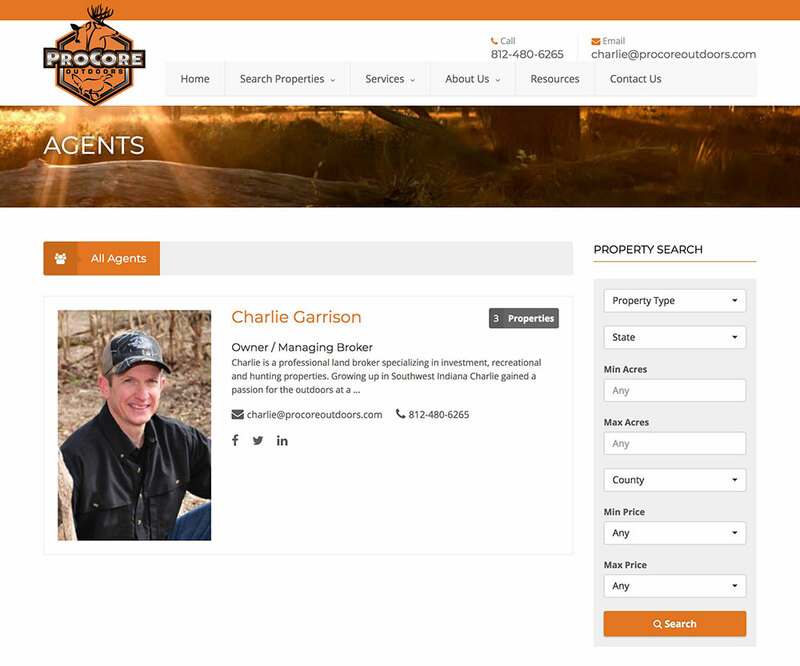 We installed a property management system where they can upload and manage their own listings. 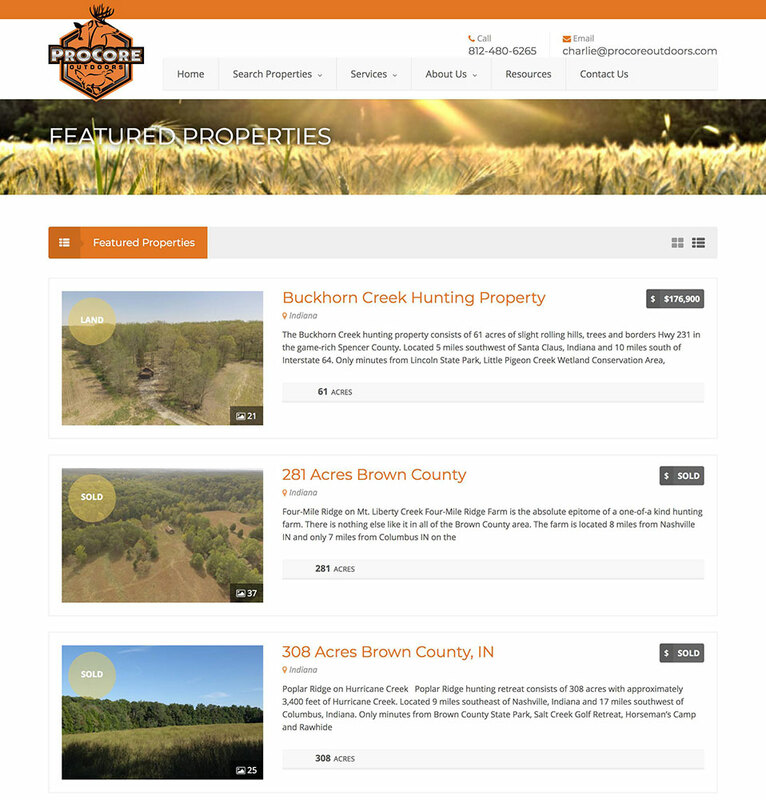 The site includes extras such as quick search box on the home page, listings slider and a blog.